Used Sea Ray 410 Sundancer powered by twin Mercruiser 380 HP V-Drives. 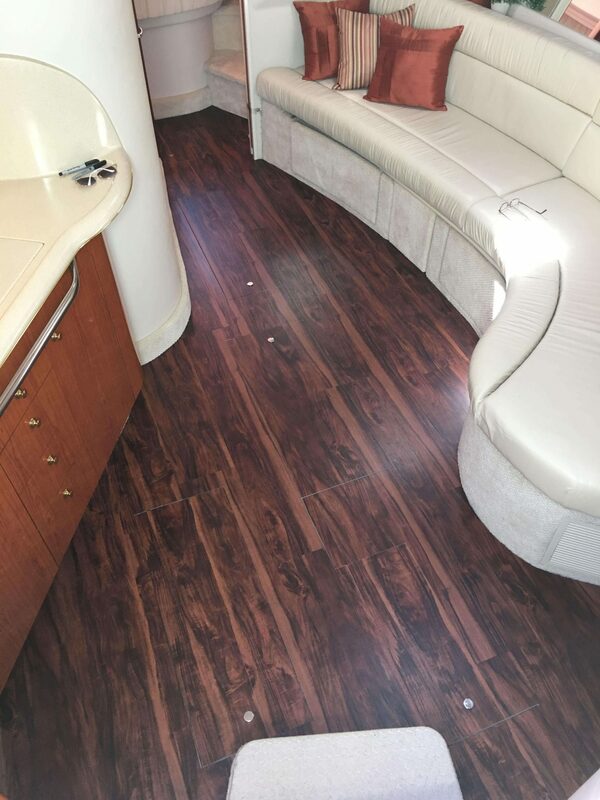 New faux teak flooring (luxury vinyl) in the saloon, new under counter lighting 2017. Helm seat vinyl and cockpit furniture vinyl’s are all brand new March 2018. Windlass w/all chain, remote spotlight, bow thruster, trim tabs, synchronizers, auto halon system, fenders, lines, safety equipment, compass, VHF, Cockpit fridge, and wet bar, transom shower, six batteries, Westerbeke 5kw Gen with low hours, deck sunpad, cockpit carpet new 2013, tonneau cover, slant back camper canvas & glass new fall 2014, marine air/heat. 2001 Sea Ray 410 Sundancer powered by twin Mercruiser 380 HP V-Drives. New faux teak flooring (luxury vinyl) in the saloon, new under counter lighting 2017. Helm seat vinyl and cockpit furniture vinyl’s are all brand new March 2018. Windlass w/all chain, remote spotlight, bow thruster, trim tabs, synchronizers, auto halon system, fenders, lines, safety equipment, compass, VHF, Cockpit fridge, and wet bar, transom shower, six batteries, Westerbeke 5kw Gen with low hours, deck sunpad, cockpit carpet new 2013, tonneau cover, slant back camper canvas & glass new fall 2014, marine air/heat.